If you have an Owner or Admin role, you can quickly change any user details. Choose from any available job title you've configured. 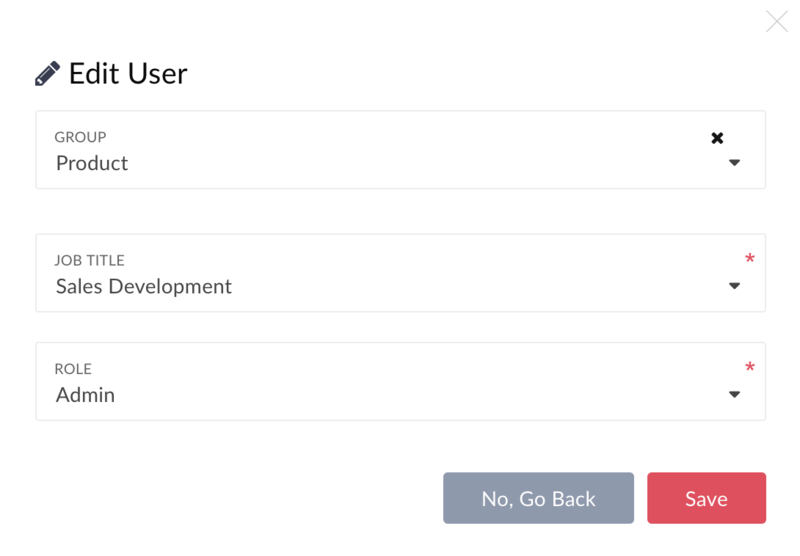 The user's group can be changed to any available group in their team, or no group can be selected. If you're a Manager, you won't be able to change yourself to an Admin, but another Admin can promote you. If you change a user to become a Coach, they will lose dialing/conference privileges and all assigned phone numbers.